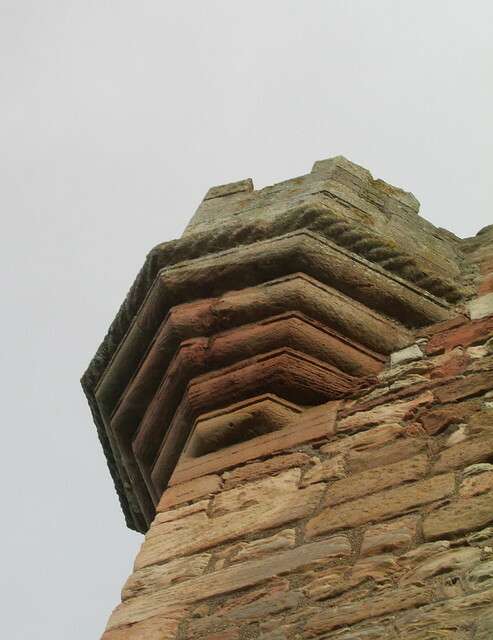 I do hope that I’m not repeating myself because I could have sworn that I had already done a post on our visit to Crichton Castle, but it doesn’t seem to be on the blog, and the photos weren’t on Flickr, so I must just have written the post in my head – and got no further! 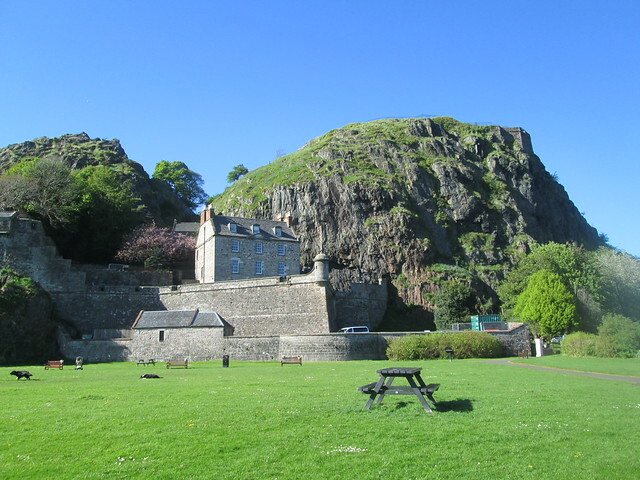 Anyway, as I remember it was a lovely visit to the castle which has quite a long footpath leading to it after you park your car. We had it all to ourselves although as we were leaving some other people turned up. 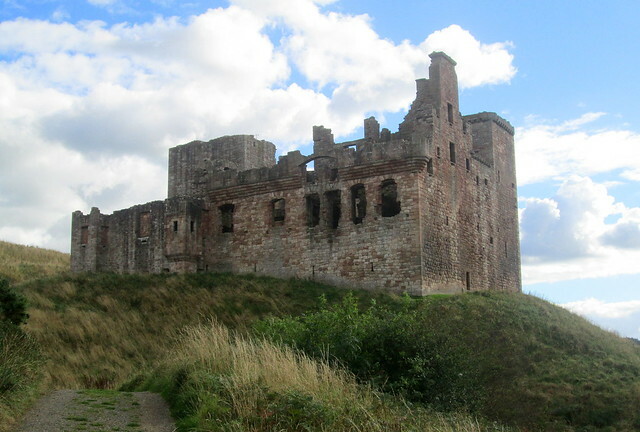 Crichton Castle is near the village of Pathead in Midlothian, not that far south of Edinburgh. 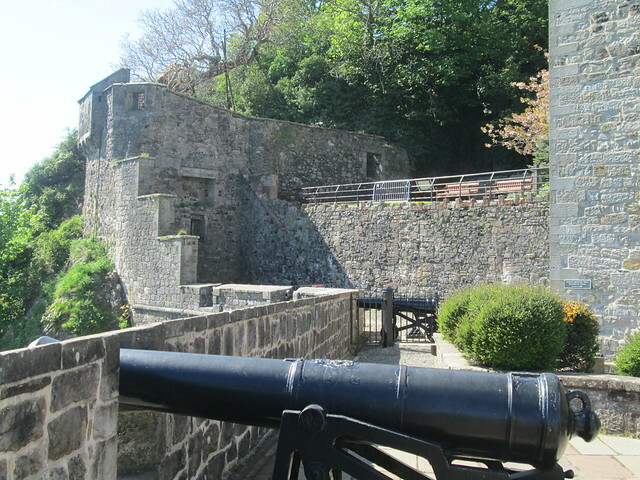 The oldest part of the castle was built in the late 14th century, but by the time Mary, Queen of Scots attended a wedding there it must have looked quite different. 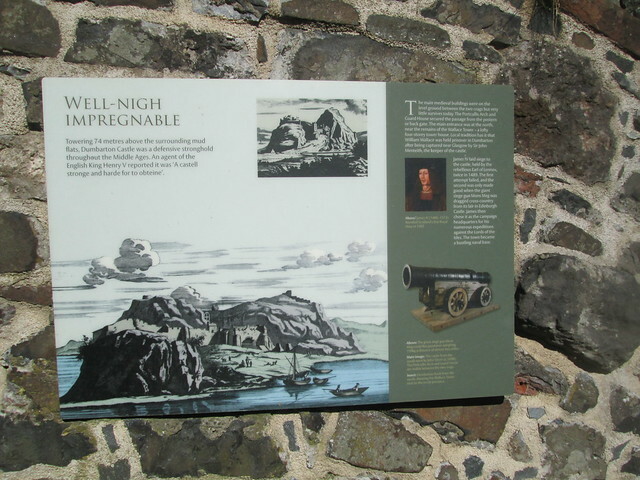 It was owned by the Earl of Bothwell who became Mary’s third husband – really that poor woman should have been much wiser and been more like her cousin Elizabeth I and eschewed marriage altogether. 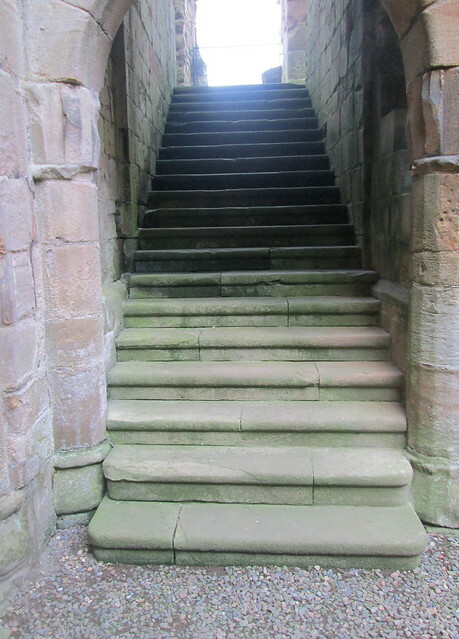 The castle has a scale and platt staircase, in other words a straight staircase with landings, instead of the normal spiral staircase that castles of that age have. 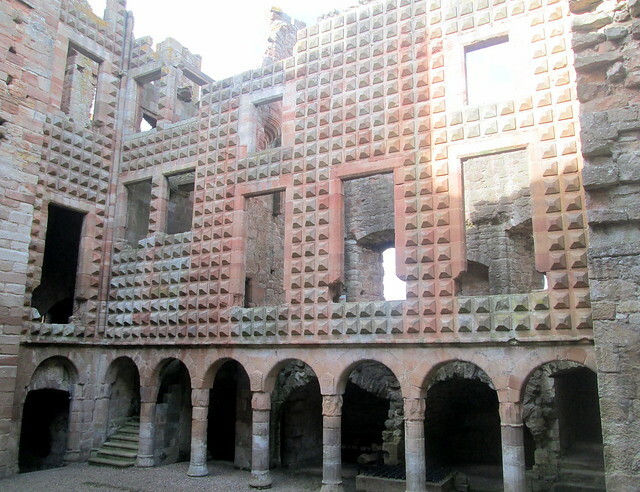 Francis Stewart who owned the castle in the 1580s was inspired by a trip to Italy and copied an Italianate style, adding fancy diamond rustication to the courtyard wall, medieval stone cladding I suppose. 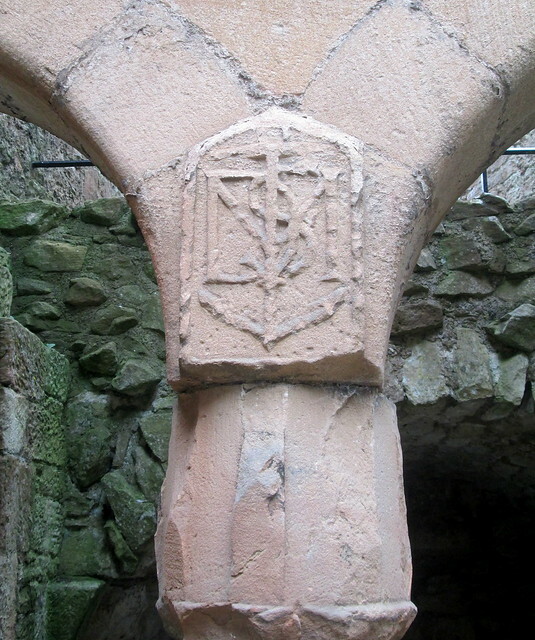 You need to put your initials on your castle obviously! The setting is lovely, high above a river with plenty of trees around. 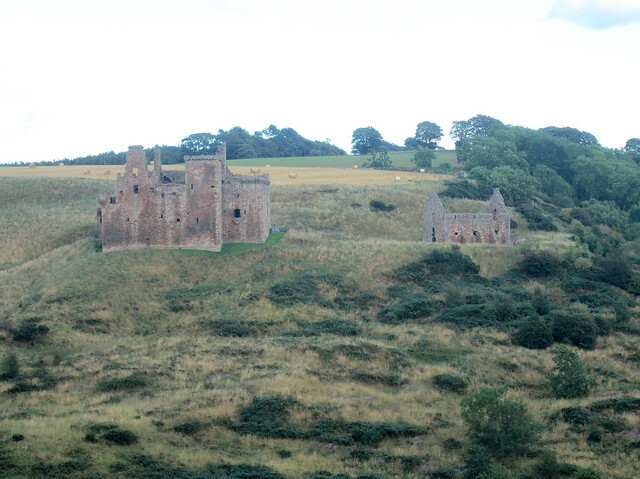 The castle features in Sir Walter Scott’s Marmion and was painted by J.M.W. Turner in 1818. One thing that I really like about going to visit new places is the different types of houses that have been built there. Most places have their own distinctive style, or they did have before the 1960-s anyway. 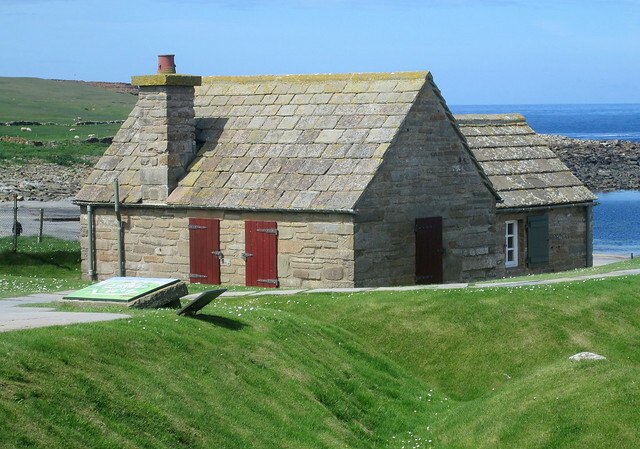 The wee house below is at Skara Brae and is used as a teeny exhibition centre. It is obviously well maintained which is just as well as it is more or less right on the beach and the weather is often wild. Sadly the Orkney islanders have mainly opted for warmth and comfort in recent years, not that I blame them as I have recently done that too. 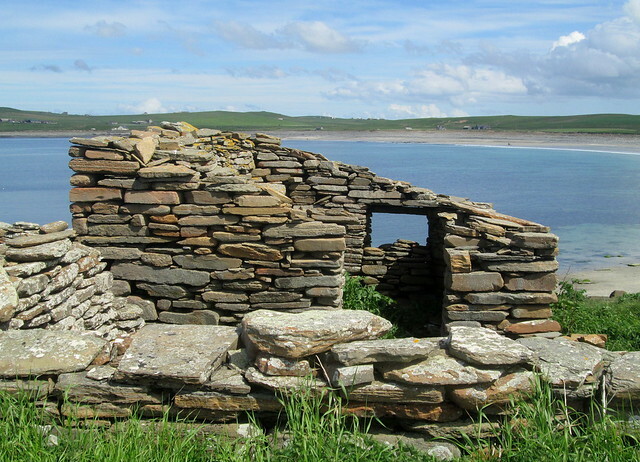 But a lot of traditional houses on Orkney have just been abandoned and are now ruins. 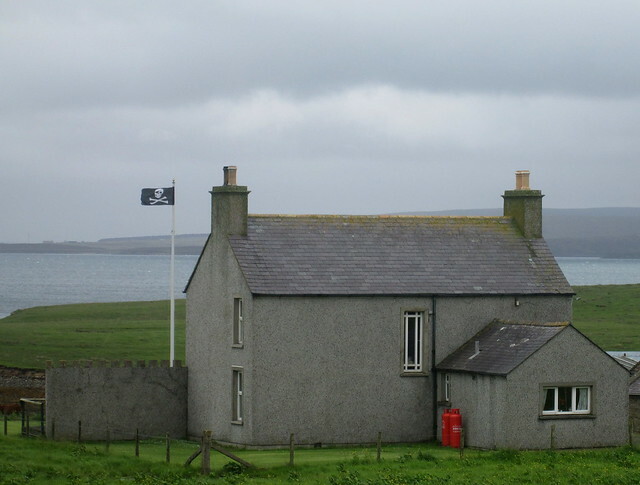 Every since I was a wee girl I’ve had an urge to bring any derelict houses I see back to life, it seems such a shame to me to leave a house standing empty, especially nowadays when there are so many homeless people around, but that doesn’t apply in Orkney I hope. 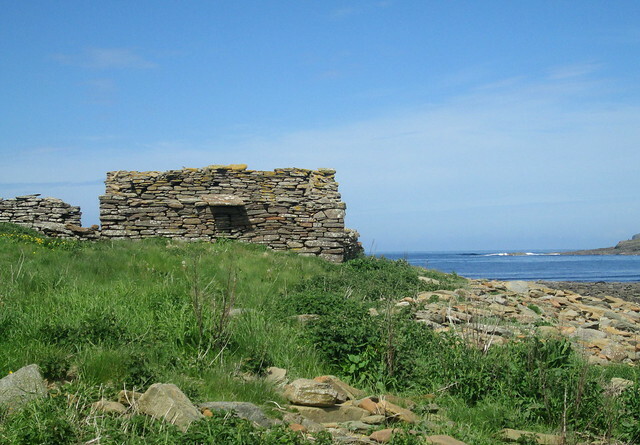 The ruin below is just above the beach near Skara Brae. Even I have to admit that it’s probably a wee bit too far gone, the location is great though. It looks like most of the local buildings have been built from stones taken off the beaches, there are certainly plenty of them where you can just pick up perfectly flat straight stones. Some houses that aren’t that far gone in dereliction still have their stone roof more or less intact. In some ways the old buildings are quite similar to newbuilds now as small windows were preferred, presumably to keep the cold and wind out as much as possible. I was very taken by the house below which I managed to snap while Jack was driving past it. 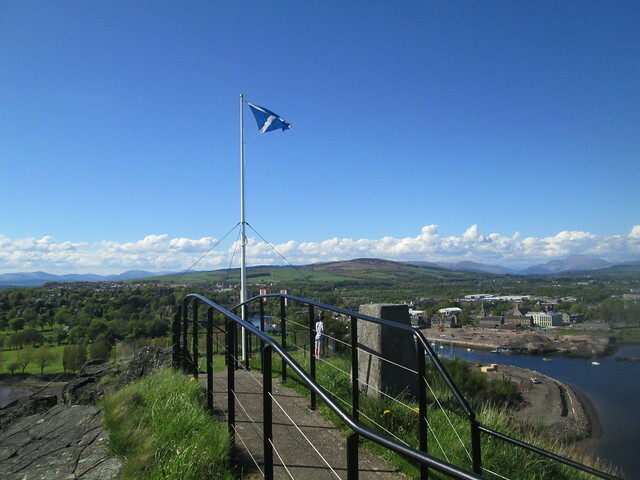 If I had a flagpole I’d be very tempted to fly a Jolly Roger/pirate flag from it too! 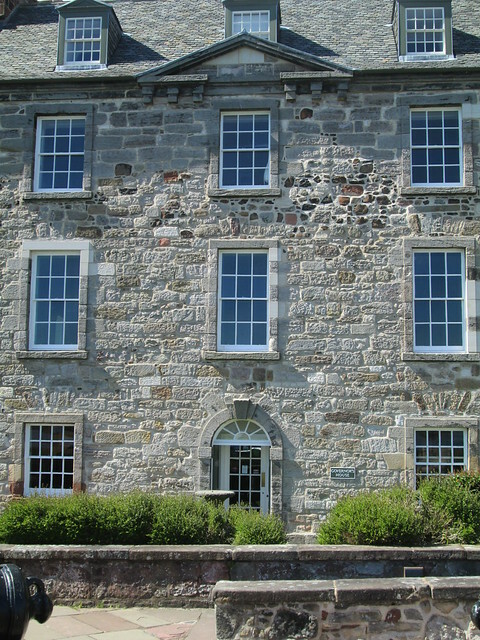 That house has been harled/cement rendered to try to keep the weather out and preserve the stone underneath. I think it might be possible to rebuild these old homes, using a modern house structure as a sort of lining, all well insulated of course. Then you could have the best of both worlds – a lovely quaint building with character and the warmth of a modern home. I’d be tempted to give it a go – if Orkney wasn’t so far away. The house in the photo below is now used for storage I think. 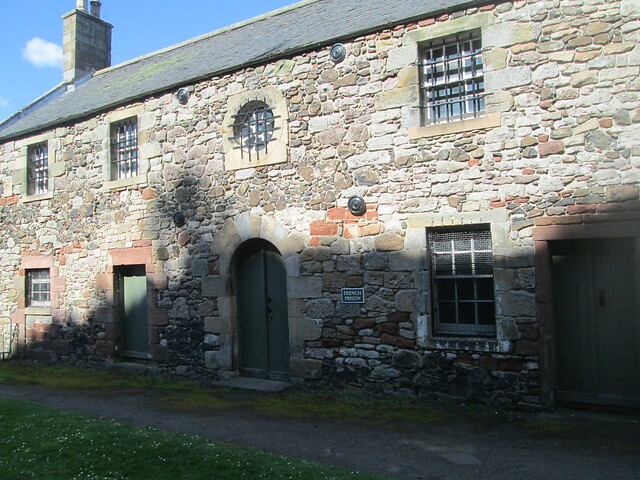 The building below may have been just for storage or animals, on the other hand, if there are a few wee windows on the other side, it might have been a house at some point in the past. 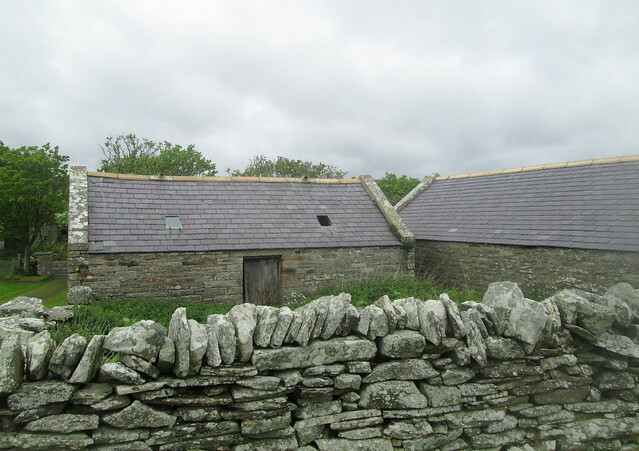 It has a slate roof though, not stone. People in Orkney are very friendly, well the ones we met were anyway. One windy evening we were walking along the back road, struggling with a small map we had been given, and a motorist stopped to ask if he could help us. We told him we were looking for the location of Norna of the Fitful Head‘s home. She was a character in Sir Walter Scott’s The Pirate. As it happened the friendly gentleman had built his house right at what had been Norna’s gate, but of course her house was no longer standing. It was probably just by the escallonia bush on the right below. Sir Walter Scott had based his character Norna on Betty Miller (the motorist called her Bitsy) who was a sort of white witch who made her living selling ‘fair winds’ to sailors, apparently at sixpence a wind, a lot of money in those days. With sailors being superstitious and fearful of rough weather, she did a good trade in fair winds which I think she sold to the sailors in a piece of cloth. It was an ingenious way of making a living, even better than the snake oil merchants of America’s wild west. 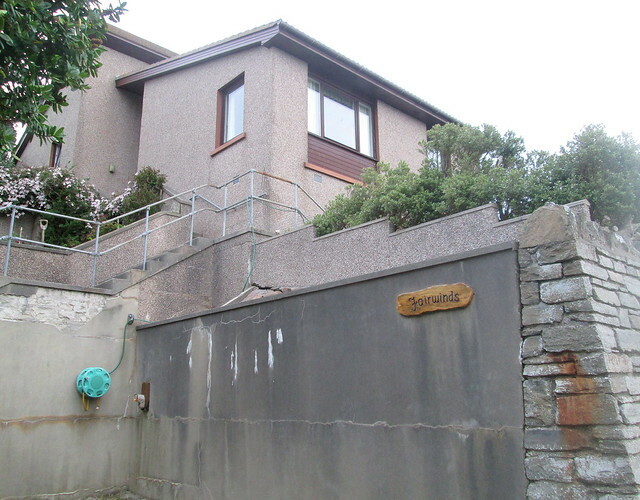 As you can see from the photo below, the motorist has named his house Fairwinds, in memory of her. There are ruins all over the place, often with a modern-ish house very close by, they have just built the new home in the garden of the old one. 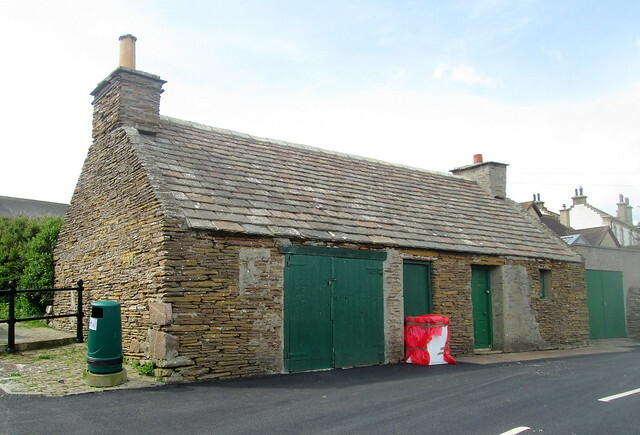 It’s quite difficult to take photos of places on Orkney though as often there is no suitable stopping place and the roads are very narrow with passing places, so stopping would cause a traffic jam. 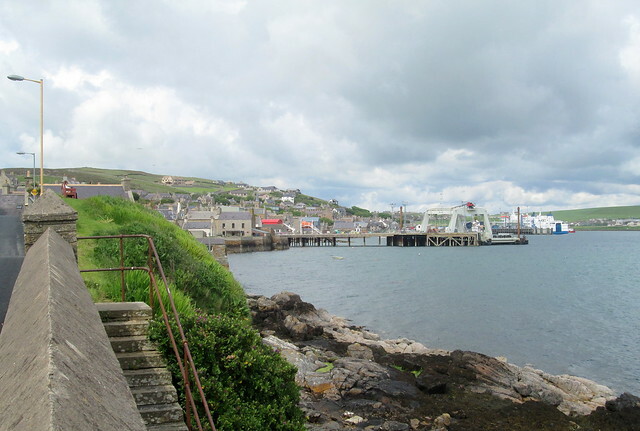 The photo below is of Stromness from the south. If you’re interested in Polar exploration – this is the harbour that Captain Cook’s ships Discovery and Resolution called in at to replenish their stores of fresh water and food. 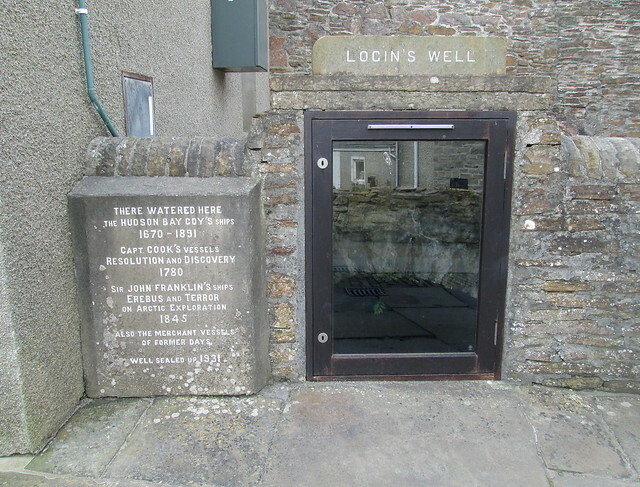 The well they used was sealed up in 1931 and as you can see they now have it covered to protect it. 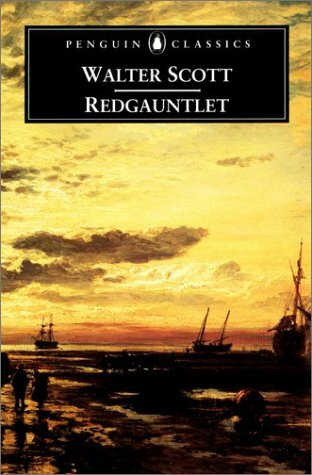 Highland River by Neil M. Gunn won the James Tait Black Memorial Prize in 1937 and I’m trying to make my way through as many of the winners as possible. It’ll be a long haul as there are a lot of them. This is just the third book by Gunn that I’ve read, I think so far The Silver Darlings is my favourite. 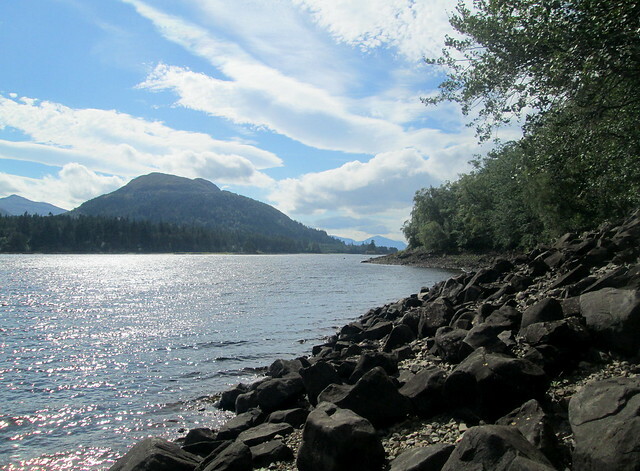 Highland River is set around the Dunbeath area of the Scottish Highlands. It’s really the story of Gunn’s childhood. It was a hand to mouth existence and the story begins with Kenn being sent out in the dark of early morning to get water from the well situated near a pool. It’s freezing and Kenn slips and falls in the water, but in doing so he realises that a huge salmon has become trapped in the pool, and so begins a battle to catch it with his hands. This is an aspect of the book that reccurs time and time again, in fact too much for me, it might appeal to those who are interested in unusual fishing techniques. The Scottish Highland childhood chapters are interspersed with chapters about Kenn and his brother’s experiences in the trenches of World War 1 and I would have been happier with the book if there had been more of those. Gunn never was involved in that war though so he probably felt he was better off sticking to writing about what he knew about. He was a customs officer/excise man from 1910 until he was able to earn enough from his writing to become a full time writer in 1937. 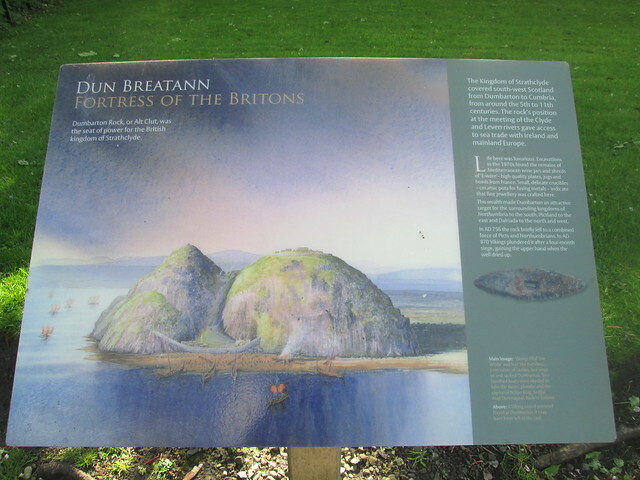 He was active politically and was a member of the National Party for Scotland part of which later became the Scottish National Party. He died in 1973. 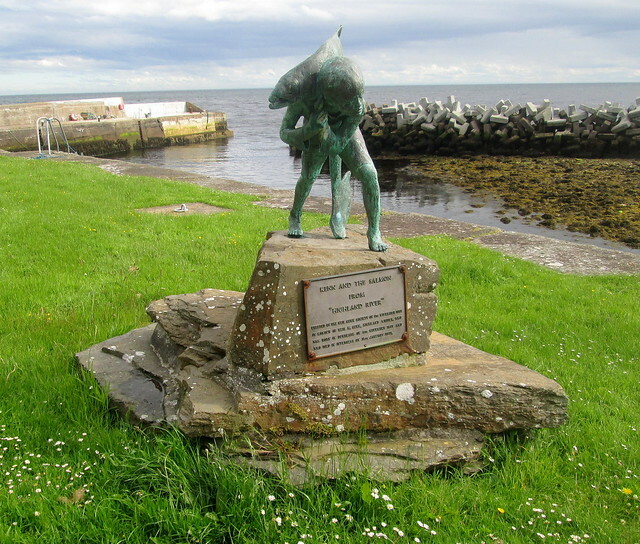 As it happens, when we were travelling home from our recent trip to Orkney we stopped off at Dunbeath which is a very small place, but is in a beautiful area of Caithness. They’re proud of their ‘local hero; and have erected a statue of Kenn with his massive salmon, a scene from this book. 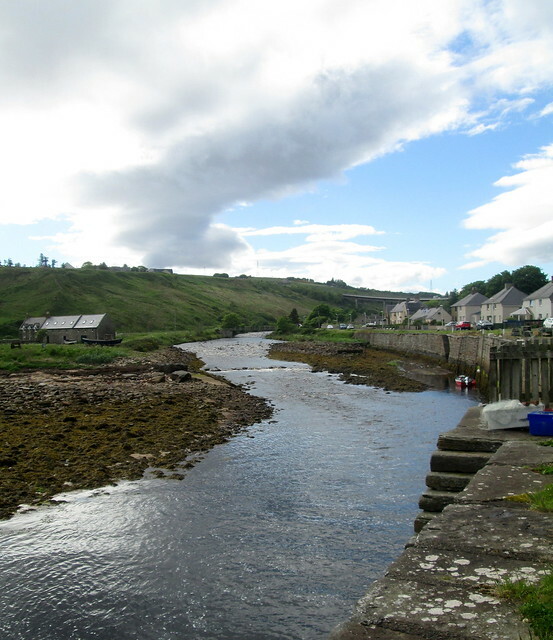 The photo below is of the river that runs through Dunbeath, it’s called Dunbeath Water, and is presumably the Highland river from the title. There’s also this lovely statue of Kenn and his salmon, a scene from the book. I also read this one for the Read Scotland 2017 Challenge and it’s one of my 20 Books of Summer. His Bloody Project by Graeme Macrae Burnet was of course shortlisted for the Booker prize, I haven’t read any of the others shortlisted or indeed the winner but I can’t imagine that they would have been as good as this one. Burnet portrays Culduie and its surrounding areas and inhabitants so well, down to the rivalry that there often is between one settlement and the nearest neighbouring one, who tend to be seen as barbarians for some reason. 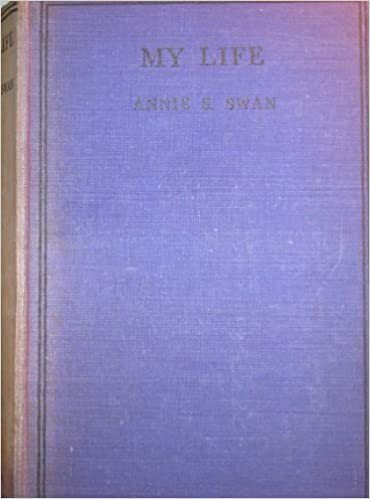 The book is set towards the late 1860s and it’s 1869 when everything comes to a head. 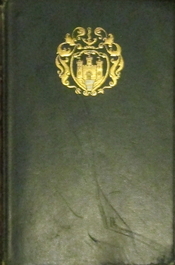 The subtitle of the book is Documents relating to the case of Roderick Macrae. More than half of the book is written by seventeen year old Roderick Macrae who is in a prison cell in Inverness, accused of the murder of three of his neighbours. 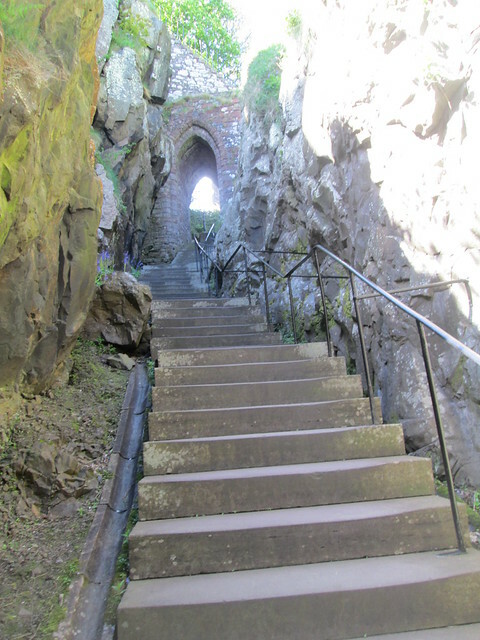 Roderick has admitted to the deed, in fact he could hardly deny it as he had walked through the tiny hamlet of Culduie in the Highlands – covered in their blood. 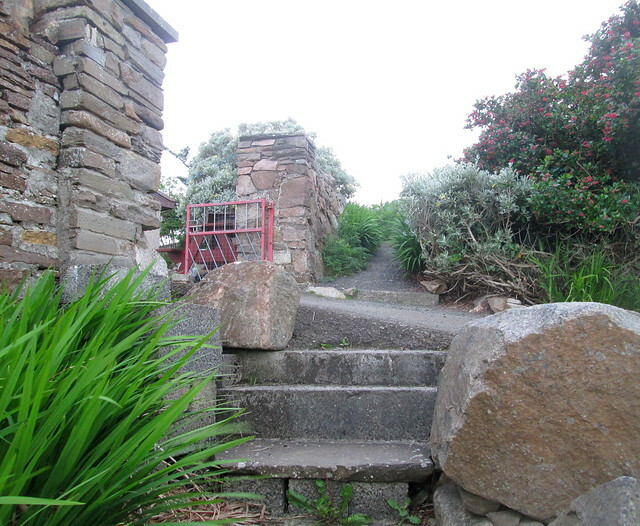 After a campaign of bullying by Lachlan Broad – the local constable and a figure of authority tasked with seeing that the inhabitants of Culduie kept the area in order – Roddy snapped, the last straw being when an eviction order was delivered to his father. 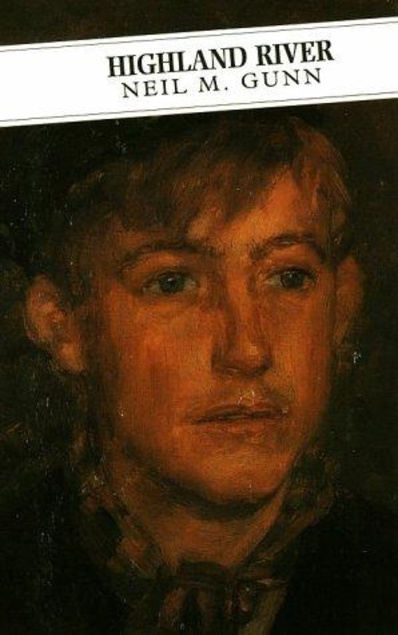 Roddy’s relationship with his father was a strained one, which only got worse after the death of his mother who had been a bit of a buffer for him, protecting Roddy from the worst excesses of his father’s Presbyterian strictness which included beating Roddy on a weekly basis for no real reasons. Roddy’s advocate hopes to prove that his client committed the murders when he was more mad than bad, it’s the only thing that will save him from the gallows. But when it comes to the actual trial Roddy’s account of things doesn’t tally with the forensic evidence from the bodies. Something doesn’t quite add up. Of course there’s a lot more to this book than that, but as ever I don’t want to give a blow by blow account of it. It’s a great read though, but not exactly an uplifting one. I read this one for the Read Scotland 2017 Challenge. Jack has read it too. I’ve really enjoyed doing the Read Scotland Challenge this year and I’m definitely doing it again in 2017. I managed to read thirty-five books by Scottish authors or with a Scottish setting or link. I’ve been fairly strict with myself though as I’ve just finished reading a book by an author who according to the back blurb now lives in Glasgow, but there was nothing Scottish in her book so I’m not counting that one at all. I’m going to be compiling a list soon of some of the Scottish books I plan to read in 2017. It’ll include a few classics by Sir Walter Scott and R.L. Stevenson and I think some other people doing the challenge will be doing a readalong at some point, RLS’s The Black Arrow has been mentioned as a possibility, it’s a historical adventure set at the time of The Wars of the Roses. It’ll be different anyway! On our recent trip up to the Highlands with Peggy we were driving along admiring the views, well Jack couldn’t do so much admiring because he had to concentrate on the driving, when Peggy remarked that a lodge house we had just passed looked like the one from the TV programme Monarch of the Glen. When we saw a sign by the side of a few shops saying Glenbogle – she just about went off the scale of excitement! 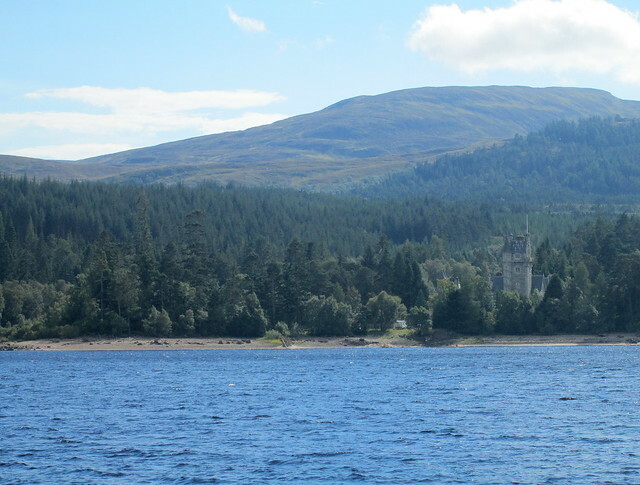 It is in fact Ardverikie estate and the loch is called Loch Laggan. The series was based on the books by Compton Mackenzie. 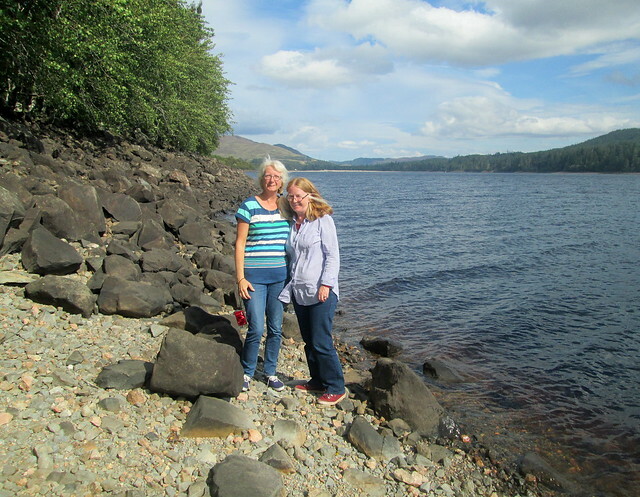 That road is pretty twisty turny but we did find a lay-by to stop off in and we climbed under/over the crash barrier and down a steep thistle and nettle edged path to reach the edge of the loch. As you can see we had a great day for sightseeing. What a view the owners have from their home, I believe it was on the market a few years ago – asking price a mere 7 million quid. I wonder if it is now owned by a Russian oligarch or some such. 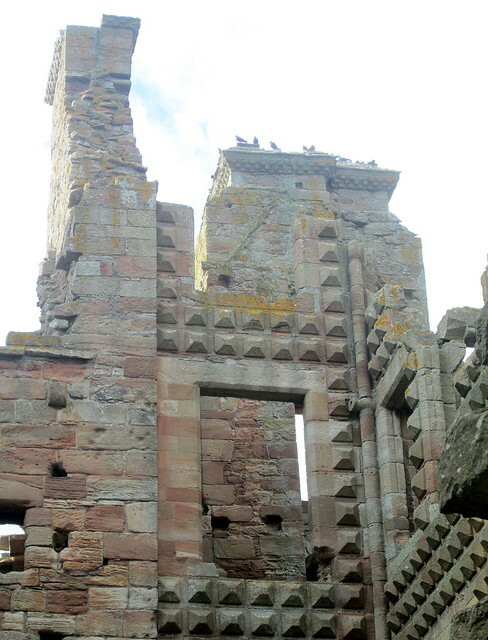 The house is built in the Scottish baronial style, very popular in Victorian times. 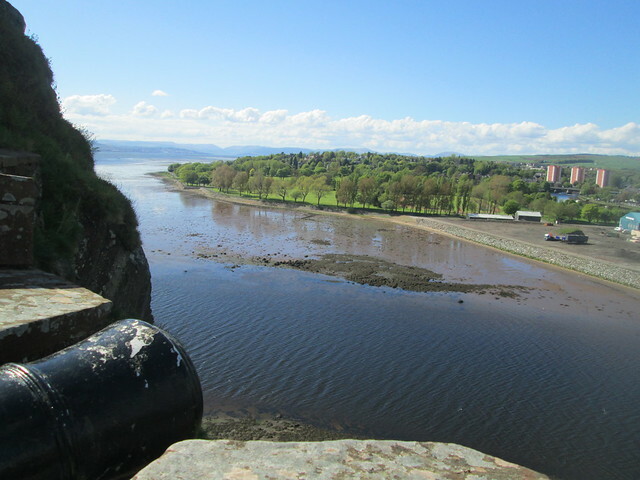 I spotted the wee jetty that features in the programme too but seem to have managed to miss it of the few photos I took. I hope Peggy managed to get it. The beach is my kind of beach with lovely glittering mica laden stones with bits of pink granite scattered around too. But we couldn’t linger all that long as we wanted to reach Dornie where our B&B accomodation awaited us. We did plan to go past ‘Glenbogle’ again and check out the few shops nearby but a slight change in the route back meant that we somehow missed the turn off. Ah well – maybe next time.